This selection of high quality plastic food containers includes essential packaging for catering companies, busy kitchens and food and drink producers. 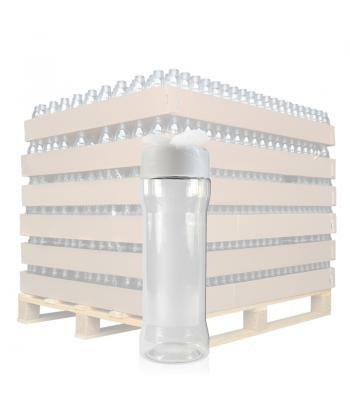 The containers in this range are made from either high quality polyethylene terephthalate (PET) or high density polyethylene (HDPE), both of which are food grade plastics. Our 175ml clear PET spice jar comes with a white flapper cap, which gives the user the option to dispense the product within by shaking/sprinkling or pouring. This is ideal for herbs and spices, seasonings, cake toppings and more. To prevent contamination and add extra security to the spice jar, the cap has a pressure sensitive liner which, when screwed on tightly, creates a seal across the neck of the bottle. The 180ml squeezer bottle is also made from clear PET, but comes with an induction heat seal liner. If required, a heat seal machine would be needed to create the secure seal on this bottle (not supplied). This squeezable bottle has a 12mm opening, for dispensing honey, syrups, relishes, sauces and other condiments. 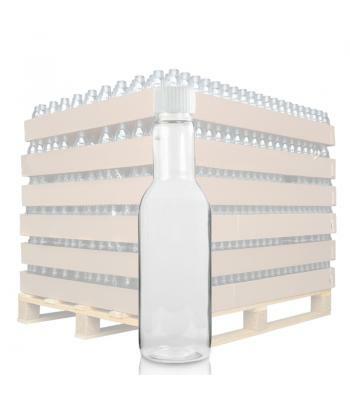 Widely used for drinks such as wine, but also suitable for sauces, dressings and oils, the 187ml clear PET wine/dressing bottle is a versatile food grade container. This bottle is a handy size for takeaway drinks, single serve wines and convenience drinks. 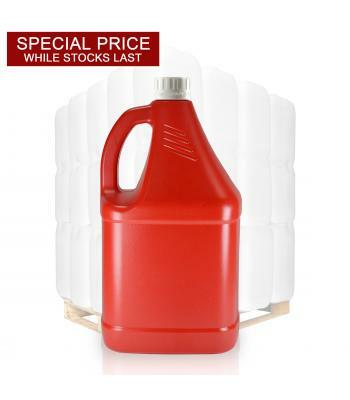 It comes complete with a ribbed white plastic screw cap, which will compliment most branding. 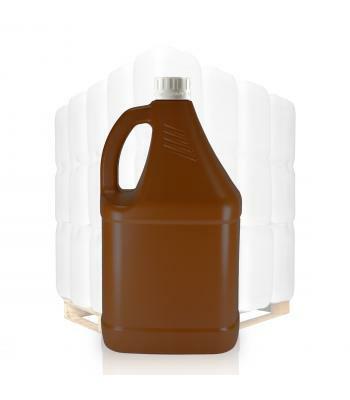 The 4 litre red and brown HDPE sauce bottles are perfect for mass catering and fast food outlets. 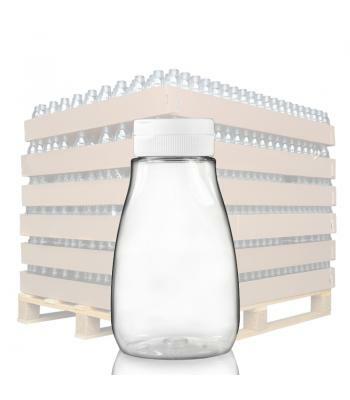 These large food grade bottles come with an integrated handle and the choice of a tamper evident screw cap (to prevent contamination) or a pump dispenser cap. The wide 38mm neck on the sauce bottles allows for easy filling. These catering containers are ideal for burger vans, cafes, outdoor catering and event catering, for the likes of ketchup, brown sauce, cooking oil, pasta sauce, chocolate syrup, strawberry sauce and many other foods.